D.C. voters approved Initiative 71 -- which legalizes small amounts of marijuana in the District -- by a margin of about two to one in November. So that means pot will be legal soon, right? Well, not so fast. The pot legalization law approved by D.C. voters last fall headed to Capitol Hill for review this week, as all D.C. laws must before they go into effect. But this one could be on shaky ground, because some members of Congress believe they blocked the measure as part of a federal spending bill back in December. Those members of Congress, including Rep. Andy Harris (R-Md. ), have vowed to keep the law from going into effect. As part of December's federal spending bill, opponents added a provision forbidding the city from spending federal or local funds to "enact" the law. It was meant to protect the city's decriminalization law -- which did indeed go into effect last year -- while outright barring legalization. However, District officials argue that the law has already been enacted, saying that the voters enacted it -- by voting for it. Accordingly, Council Chairman Phil Mendelson transmitted the initiative to House Speaker John Boehner on Tuesday. Now that the measure has arrived in Congress, lawmakers will decide whether to reject it or let it go into effect. And in the meantime, D.C. Councilmember David Grosso (At-Large) has introduced a bill to begin exploring how the city will regulate the legal sale of marijuana. The District expects to spend several months creating regulations to govern the retail sale of marijuana – similar to Colorado -- unless Congress takes further action to block the new law. 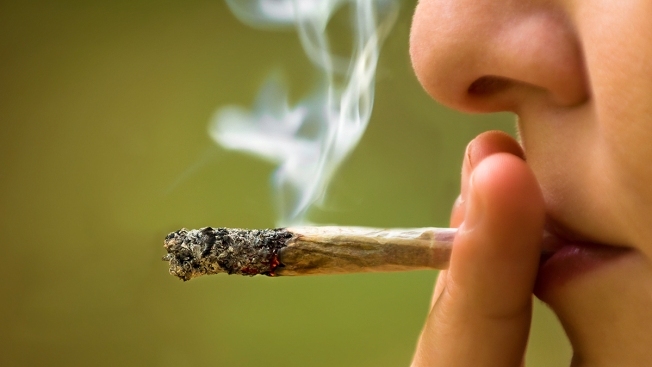 Even without congressional restrictions, the new D.C. pot law likely would not allow marijuana sales until early 2016.